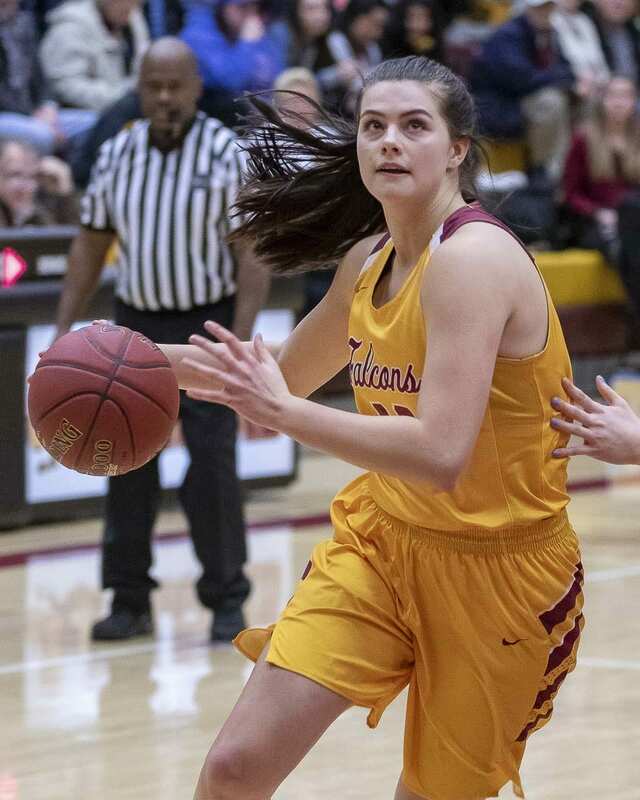 The Class 4A and 3A bi-district basketball tournaments will continue Thursday but then be placed on hold as a snowstorm is predicted to hit all of western Washington. Schools from as far north as Federal Way and Kent and south to Clark County compete in the District 3 and District 4 event, making travel a major concern. While the storm is not likely to hit until Saturday, it is possible for an early arrival on Friday night, making for safety issues for teams traveling Interstate 5. Plus, in the 3A tournament, the boys quarterfinals were supposed to Friday, and the girls quarterfinals were to be played Saturday. There is a similar split for the 4A tourneys, as well. Organizers want the 4A and 3A brackets to pause at the same point. If all games are played tonight, as expected, the 4A boys and girls will have eight teams in the quarterfinals, plus eight teams in consolation. For 3A boys and girls, eight will be in the quarterfinals while four will await the consolation bracket. After that, well, that is anyone’s guess. There are several options for tournament organizers. Cale Piland, the athletic director for Evergreen Public Schools and one of the organizers for bi-district, said he and his colleagues will be in a wait-and-see mode. If the storm is not as strong as forecast, if roads are clear by Monday and school is in session, there is a chance to complete the full schedules for each tournament. However, it is also possible that the first round games played Wednesday and tonight could turn into elimination games, and the tournaments would be shortened. The Class 4A tournaments will advance seven teams to state. The Class 3A tournaments will advance five teams to state. Athletic directors will be coordinating with each other in hopes of finalizing a plan early next week. Meanwhile, the Class 2A District 4 boys and girls tournaments will play opening round games Friday. Some were scheduled to play Saturday, but all games have been moved. As of this post, the Class 1A District 4 tournaments have not changed on the official brackets. There are boys basketball games tonight and girls open Friday night. Games are still on the schedule for Saturday. Basketball is not the only sport dealing with weather. As of Thursday afternoon at 3:45 p.m., though, the Class 4A regional wrestling tournament scheduled for Friday at Saturday at Camas High School was still a go. Washougal is set to host a Class 2A regional wrestling tournament Saturday. As with everything associated with high school athletics and weather, fans are being asked to be flexible.